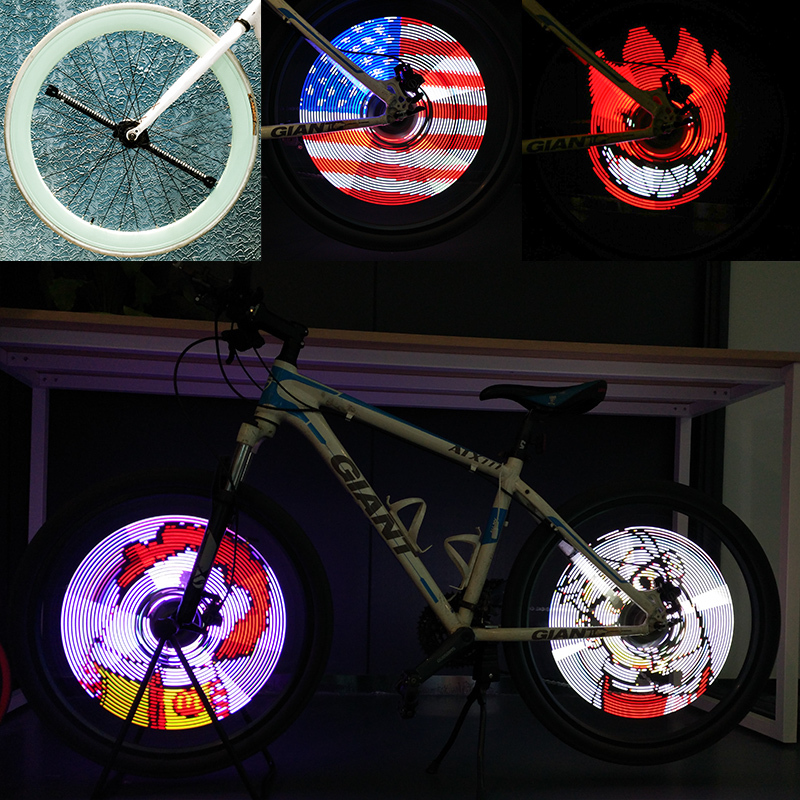 Successfully Added Xuanwheel S1 Bike Wheel LED - Bluetooth, 96Pcs RGB LEDs, App Support, iOS, Android, Double-Side Display, 1300mAh, DIY Support to your Shopping Cart. The Xuanwheel S1 allows you to pimp up your bike in a stunning and fashionable manner that is guaranteed to grab the full attention of your friends and people passing by. Featuring 96 high-quality RGB LED lights the Xuanwheel can be easily attached to your bicycle wheel. Supporting 8 different colors this cool gadget allows you to portray beautiful images at any time that are guaranteed to impress any person in your surrounding. Simply attach the Xuanwheel S1 to your 26 Inch wheel (or above) and you’ll be set to head out on the streets and impress your friends and bystanders with stunning visuals. Featuring App control these Bluetooth LED lights can be synced with your smartphone, allowing you to pick the image of your liking which will be instantly displayed on your bike wheels. Additionally, the mobile application that comes along with the Xuanwheel S1 lets you design your own images, allowing you to take your artistic skills to an entirely new level. Featuring double side display technology you can be assured that all your images will be clearly visible to people located at either side of your bicycle. Its 1300mAh battery that can be easily charged through its USB port provides you with a stunning continuous usage time of up to 20 hours – allowing you to share and enjoy stunning visuals on your bike for days without the need to recharge your battery. Although the perfect speed to display your images will be at 16km/h this bicycle gadget is guaranteed to portray stunning visual no matter the speed at which you’re driving. Supporting both Android and iOS operating systems the Xuanwheel S1 is the perfect electronic gadget for all people out there who’d like to pimp up their wheels in an extraordinary manner. Fitting on any bike wheel equalling or larger than 26 inch this cool gadget provides the perfect way to spice up your upcoming bike trips. With its plug and play design, the Xuanwheel S1 is perfect to bring joy in the lives off young and old alike. The Xuanwheel S1 comes with a 12 months warranty, brought to you by the leader in electronic devices as well as wholesale electronic gadgets..
APP function: The Pictures, Texts, Moving images can be displayed on the wheel with the XuanWheel; The APP also can display the bicycle data as a stopwatch.